We want to make sure that you receive all of the information that you need to make educated decisions about your eye health. Our optometrist, Dr.Ron Harrison, is always available to answer your questions. 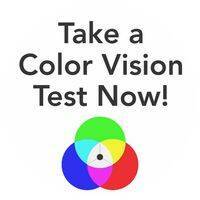 Please feel free to send us your eye care questions to harrisoneyecare@comcast.net. Q: All contact lens solutions are the same, so I can just get the one on sale, right? Dr. Harrison: Not quite. Some contact lenses are not compatible with certain solutions. Additionally, many people (including me) are sensitive to chemicals and preservatives present in solutions. We prescribe solutions that best match your lenses and your eyes. Q: My child saw 20/20 at their school physical. That’s perfect vision for Back-to-School, right? Dr. Harrison: Maybe! 20/20 only tells us what size letter can be seen 20 feet away. People with significant farsightedness or eye muscle imbalances may see “20/20”, but experience enough visual strain to make reading difficult. Vision controls eighty percent of learning so include a thorough eye exam in your child’s Back-to-School list. Q. Since I don’t need prescription lenses, there is no harm in buying tinted Halloween contact lenses from the mall, right? Dr. Harrison: Wrong! Cosmetically tinted or Halloween contact lenses have all the same concerns as regular contact lenses. They are a medical device that can cause serious eye injury or vision loss if the fit is not ideal or they are not cared for properly.